This is a hearty raw salad, This works well as a packed lunch as well since the brussels sprouts won’t wilt. Wash and dry brussels sprouts. Cut off the bottom of each one and discard. 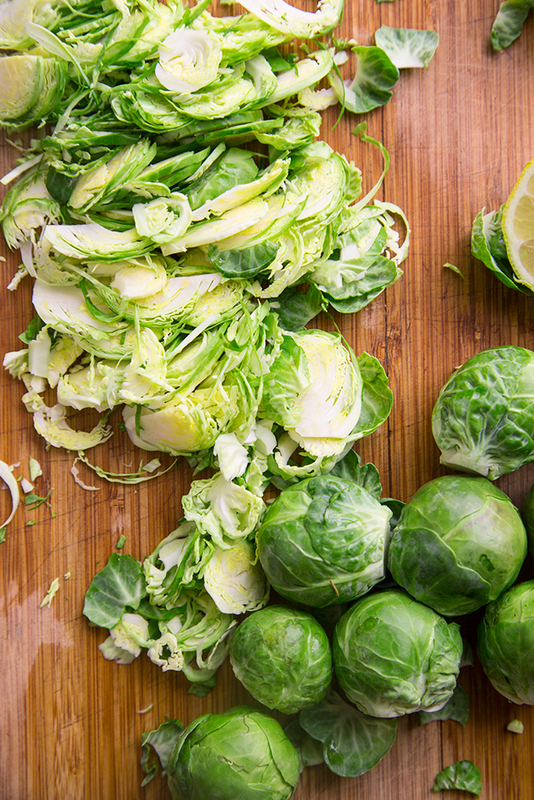 With a sharp knife, hold sprout with flat side down on cutting board and slice each sprout as thinly as possible. You can use a mandolin for this, but be careful! Mince shallot and garlic clove, add to sprouts. 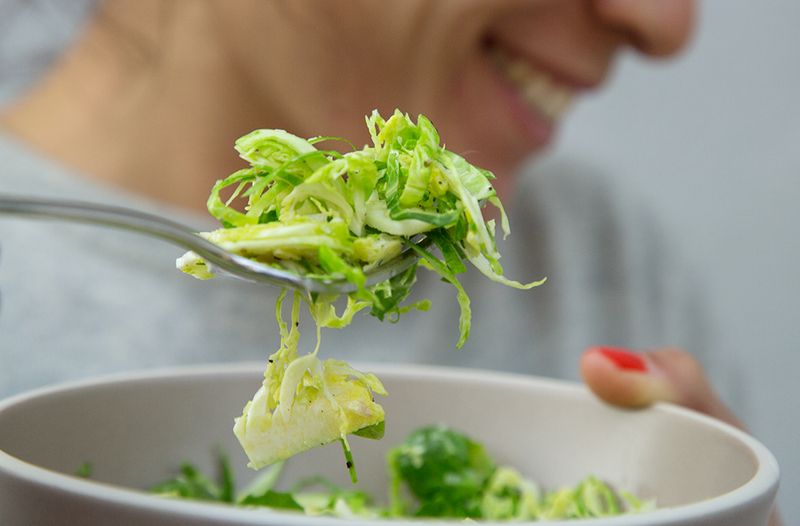 Squeeze juice of one lemon over sprouts and drizzle with olive oil and stir until the greens are well-coated. Crack pepper and sea salt on top. 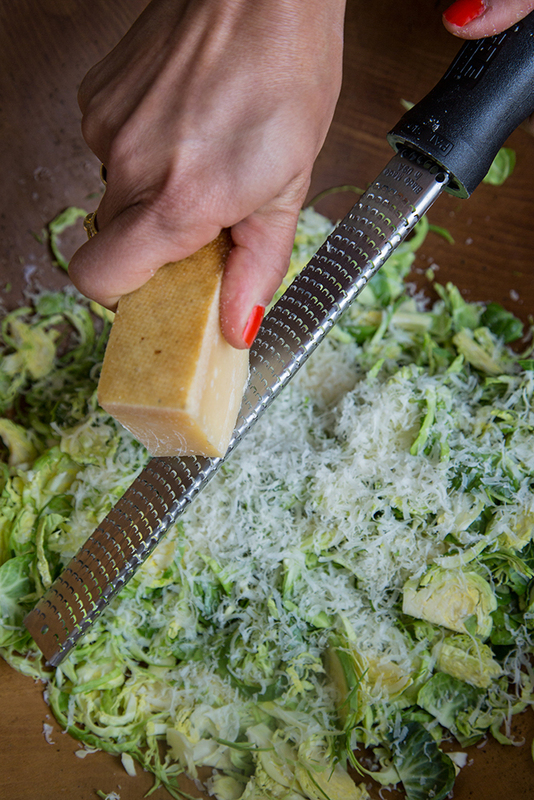 Using a micro-grater, grate cheese on top of salad, toss to combine. Add as much cheese as you fancy. Optional: toast a few pine nuts and toss them on top. This salad is a minimalist work, an elegant and restrained salad. 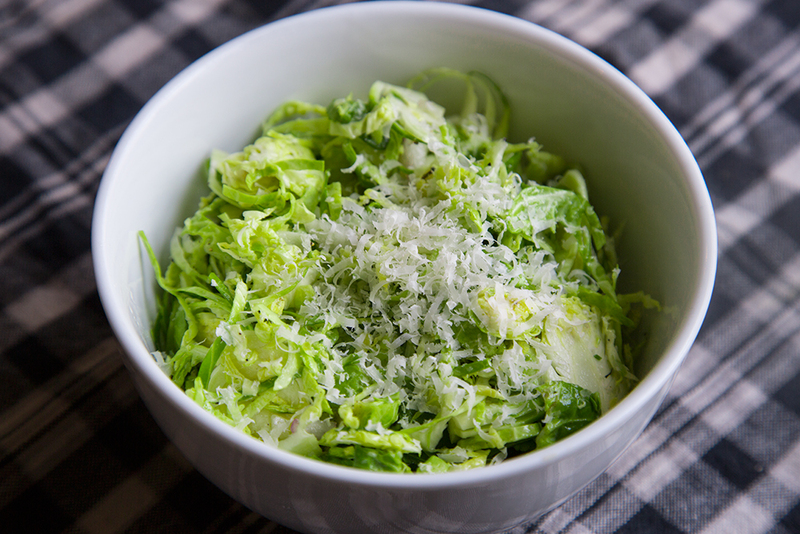 If I had Italian aristocrats coming for dinner, I would make this salad, being careful of course to use the best olive oil and Pecorino I could find. Go to your local cheese monger and ask to try a few cheeses that would be similar to a Pecorino or a Parmesan, and see what you like the best. The main difference between Parmesan and Pecorino are the regions they come from, and that Parmesan is made from cow’s milk, while Pecorino is made from sheep’s milk. They are both salty, nutty and hard, perfect for grating over your shredded brussel sprouts. This salad will be great the next day, so make extra to bring to work.